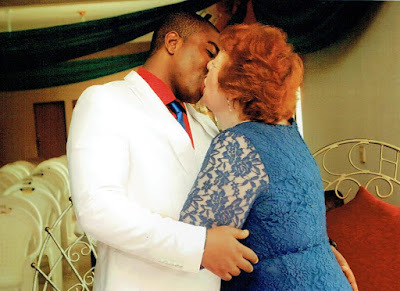 CJ Nwachukwu is the third husband of Angela Nwachukwu who is a retired pensioner and he is 45 years her junior. They wedded just three months after he added her on Facebook. 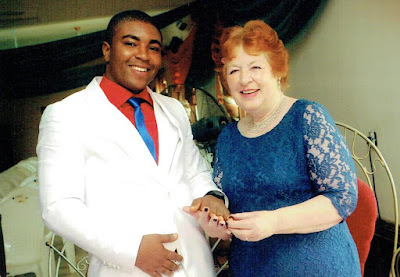 But Angela insists CJ is her soulmate and since they married has spent £20,000 (over N9 million) visiting him and trying to get him into the UK. 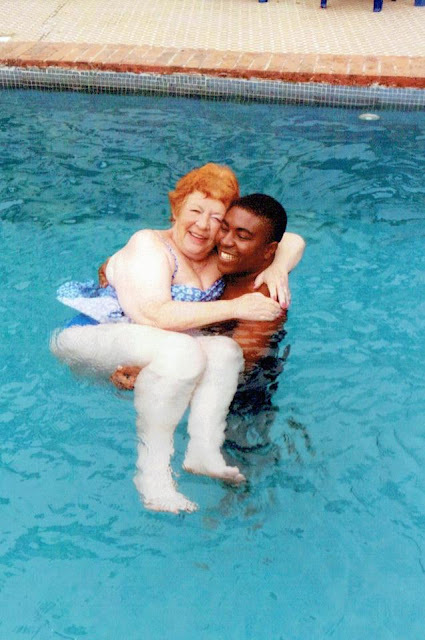 Angela, a retired taxi driver from Dorchester, Dorset, says of their love: “CJ is the most caring man any woman could want to be with. “He makes me feel like the most beautiful woman in the world. I know in my heart we belong together and we won’t stop fighting until we can be together as husband and wife. We won’t let this break us. Angela says: “After my relationship ended, I felt lonely. We had become more like friends than partners so we had decided to split. “After being single for six months, I saw a gorgeous young man had sent me a friend request on Facebook. “I did wonder why he had added me but I accepted and he sent me a message telling me how lovely my profile photo was. “He was so handsome, with big, brown eyes and a body to match. I didn’t see the harm in striking up a conversation with him. “We chatted for hours about our families and hobbies. It was like we’d known each other for years. Before I knew it, we were messaging daily. 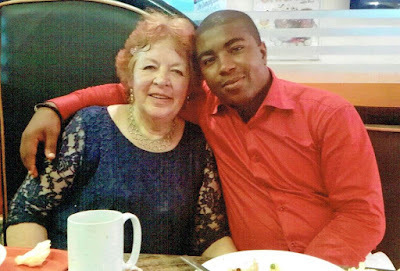 “The only problem was he was 45 years younger and lived 4,000 miles away in Nigeria.” "He was six years younger than my oldest grandchild. But I couldn’t help falling for him. “When I first told my son Malcolm about CJ, he was worried it might be a scam, so he checked him out online. “After seeing how squeaky-clean his social media was, he felt he was genuine. They could all see how happy I was. Just a month after they started messaging in February 2015, Angela’s long-distance lover popped the question over Skype: "would you marry me?" The couple's last hope is that he will be allowed to come next year on a student visa to study his. She still hopes to be permanently united with him.